The XL900 Burner is UL Listed. 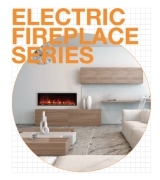 At the heart of every EcoSmart Fire is a high quality and safety tested ethanol burner. The XL900 is one of the longest linear burners available and provides a long lasting, vibrant orange flame. With a seamless blend of function and beauty, the XL900 has numerous safety features including a precision shut-off mechanism, a separate filling point away from burner opening, and a manufacturing process that ensures the burner will not leak. The ethanol burner also comes with a series of accessories (an extendable lighting rod, a lighter, and a no-spill refilling jerry can) to makes operation both simple and safe. Easily integrated into bespoke settings – from specially-made cabinetry, media units, walls, floating timber to stone benches and pillars. 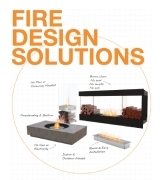 Diverse range of materials can be used in your bespoke fire – think concrete and hard timber benches, marble recesses, stacked stone walls, stainless steel – even metal barrels cut in half! e-NRG bioethanol produces a beautiful orange flame from start to finish without producing by-products such as smoke, soot or ash. 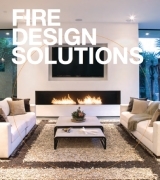 Awarded the 2009 Hearth & Home Vesta Award (USA). 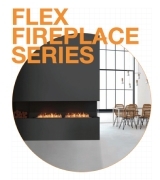 Easily installed as a standalone ethanol burner in tailored setting or in conjunction with zero-clearance, stainless steel fireplace inserts – the 1200SS and 1200DB.